Many bean to bar chocolate makers have passed on this site by now. 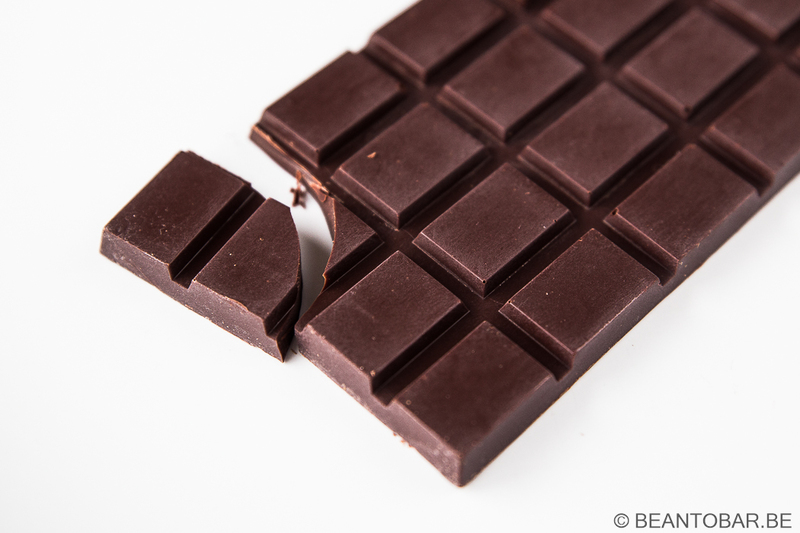 They all source fine cocoa and turn the beans into exciting and wonderful chocolate bars, or at least try to. But some people go even beyond this. They venture deeper into the cocoa world and take charge of the entire production line, starting from growing the initial raw material on. Called Tree-to-bar, these chocolate makers are sparse even in the craft chocolate world. Cacao Prieto, based in Brooklyn New York, does not simply make chocolate. They also own the farms where the cocoa beans are grown. It is one of the few companies who offer only one origin, simply because they work with products grown on their own cocoa and cane sugar plantations in the Dominican Republic. But it doesn’t stop them from offering a large range of bars, from plain 72% chocolate to bars infused with inspiring flavors such as orchid, Dominican spices, Mandarin & Bergamot and Absinthe. Next are the bark bars, who consist of dark chocolate bars sprinkled with dried fruits and nuts. Add chocolate spread, chocolate covered nuts, couverture, cocoa nibs and drinking chocolate to the line-up and there is enough to make any chocolate lover very happy. Cocoa Prieto even goes wider by adding a distillery to the chocolate production, offering heirloom bourbon whiskey’s and cocoa based liquors. There is no other company like this in the business. I found their plain 72% Dominican bar in the shop Patisserie-chocolaterie Vercruysse in Kortrijk Belgium. It’s amazing to see how far these chocolate bars travel before they can seduce a chocoholic. Geert, the owner of the shop has a fascination for good chocolate and offers some of the best available. I choose the plain bar with a reason. It gives the best idea of the quality of the chocolate without any added and distracting flavors and inclusions. It can’t hide behind any additional flavors and needs to shine on it’s own. The chocolate bar is a nice 85 g. It is wrapped in thick paper covered in a dark ethnic decoration. All the needed info is found on a sticker folded around the front and back of the package. 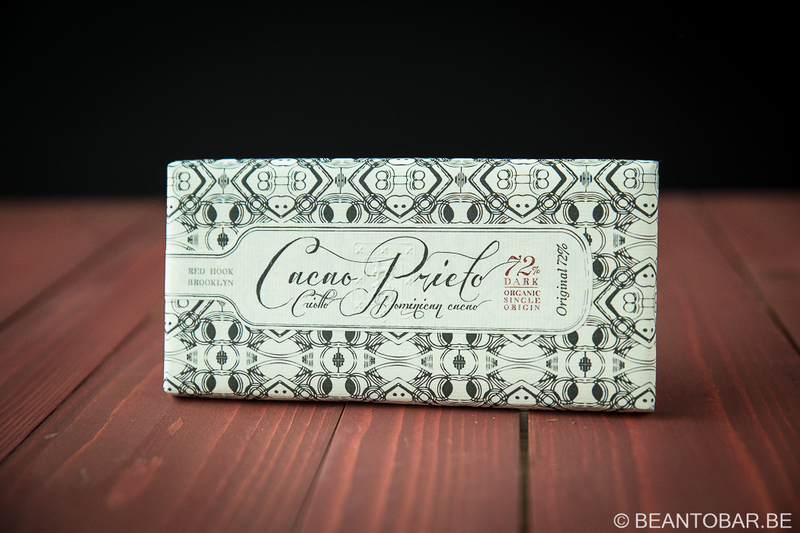 The Cacao Prieto logo is written in a stylish font. The info on the label is short and provides the needed nutritional facts, ingredients and indication of the cocoa origin and type. A small sticker shows the cocoa used in organic. There is even a Pareve stamp – meaning this product is certified kosher. The bar follows a trend in bean to bar chocolate, where the chocolate creator wants the customer to feel he/she has a premium product in hand. Yet the design of the actual chocolate bar itself is minimalistic. 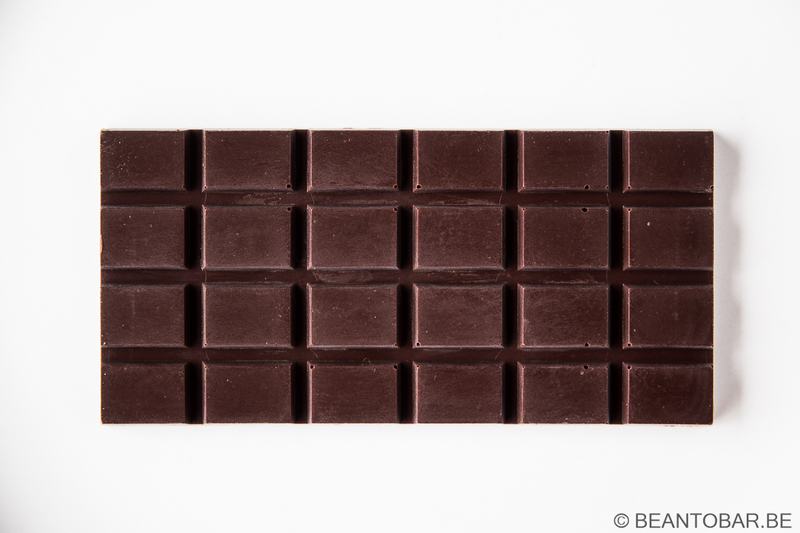 Just a big rectangular piece of chocolate, with regular scoring. Somehow the chocolate bar doesn’t meet the expectations the wrapper has set. But in the end, the flavor is what really counts. Taste: The chocolate starts sweet with a clear honey note. It quickly turns to light yet abundant chocolate aromas. The flavor is refreshing on the palate, not clingy nor overwhelming. The honey keeps flowing around generously and gets joined by a delightful vanilla twinkle. Every now and then there is a hard to grasp yellow fruit note, gone before it can be clearly detected. Near the end of the melt a flash of toasted bread appears out of nowhere. The aftertaste keeps the great chocolaty flavors hanging on and adds a bit of dried wood. Later on it turns more floral in nature. The texture of the chocolate is butter smooth and silky. Light and playful are the key words when you want to describe the Cacao Prieto Dominican cacao bar. No deep powerful flavors and impressions, yet lightheaded notes tiptoeing over your tongue. Asking you to explore them more, they are drawing you closer but disappear before you really grasp them. It is quiet a cheeky piece of chocolate for sure! But I do miss a bit of body to give it more of an edge. I would call this a perfect breakfast chocolate. And now I wonder how it tastes with the flavors and inclusions Cacao Prieto offers them. Craft chocolate, it never ends.